Starting out in this game is tough. Paying your way across the country to play single-elimination qualifiers in the hopes of earning enough points to one day make it straight into the main draw. It can be a big gut check to bet money on yourself, but it’s necessary. The ones who make it work, grinding through qualifier after qualifier, have at least one of these qualities: skill, money, or frugality. SKILL – The best strategy is to be better than everyone else. But because of the deep level of competition in the qualifier, it’s rare to see someone stroll to the top ranks unscathed. Even NCAA Players of the Year like Brad Keenan and Taylor Crabb fell in their first qualifier attempts. This year saw Olympians of both genders fail to qualify. But if you’re good enough you will qualify and earn a spot in the main draw. Or get picked up by a partner with enough points to carry you there. MONEY – Whether you’re killing it at a “real job” or you have your parent’s or spouse’s support, money helps. It gives you the ability to invest in yourself. To pay for travel, hotels, coaches, equipment, realmeals. It can even buy you a partner! Players with money can often outlast those with more skill by staying in the mix longer. This is important because the more tournaments you play the more opportunities you’ll have. Sometimes the draw opens up for you. Other times you fly all the way to New York to find your bracket littered with landmines. At those times it’s nice knowing you won’t be sleeping on the street if you fail to qualify. FRUGALITY – Most of the players I came up with fell into this category. Myself included. 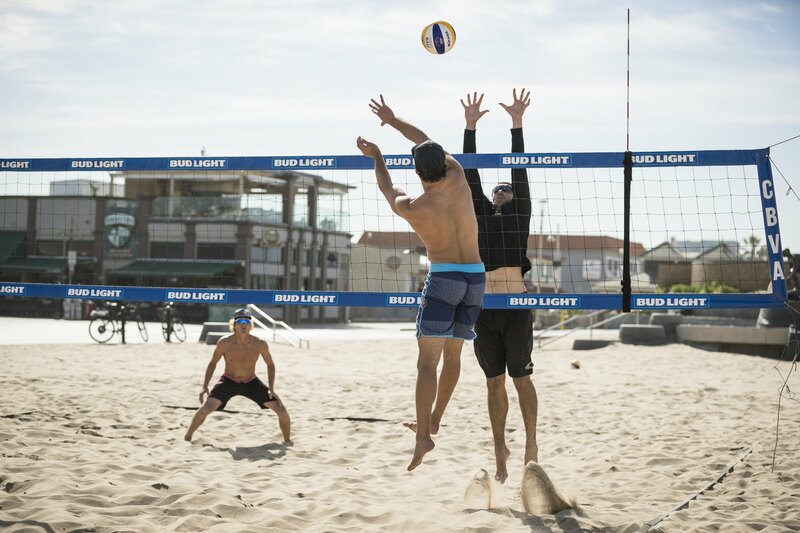 If you’re not 7ft tall with buttery hands or heir to the iron throne and you want to make it in beach volleyball you need to cut some corners. You need to prioritize. Spending on volleyball means saving in other places. Car, rent, food, clothes, and so on. There’s a reason you see so many qualifier players wearing the same blue CBVA shirts they won three years ago. Buying cheap flights, sleeping four to a room, and loading your backpack up with protein bars from the player’s tent. There is no shame in this. I have slept in all kinds of random places on the road to avoid paying for hotel rooms. Braidy Halverson and I snuck back to the site in Santa Barbara to sleep in a sponsor tent. This sounded like an okay plan until we returned late at night to find a security guard pacing the site and the sponsor tent velcroed shut. We quietly dug in the sand underneath the tent and tunneled our way in unseen. We also froze that night and played horribly the next day. Not recommended. One thing that helped my career was living at the Volleyball House. Yariv Lerner owns a six-bedroom house in Venice Beach that he graciously fills with beach volleyball players. Past residents include Nick Lucena, Scott and Kevin Wong, Paul Baxter (for about 15 years), Jason Ring, Billy Strickland, Dave Smith, Austin Rester (for about 15 days), and on and on. The place was a mess but the rent was cheap. I lived there for two years before I married Janelle. Then we lived there for another two! As you can imagine, this frugality came with its costs. One morning I woke to find a roommate, I won’t mention who, Travis Schoonover, eating the top tier of our wedding cake for breakfast. “How is the cake?” I asked. There are different roads to making it on tour but each one takes a lot of work and perseverance. There will be failures and setbacks at every level you play. But for me, it’s been worth the sacrifices to pursue something I love. Even if I have to keep cutting my own hair to do it.